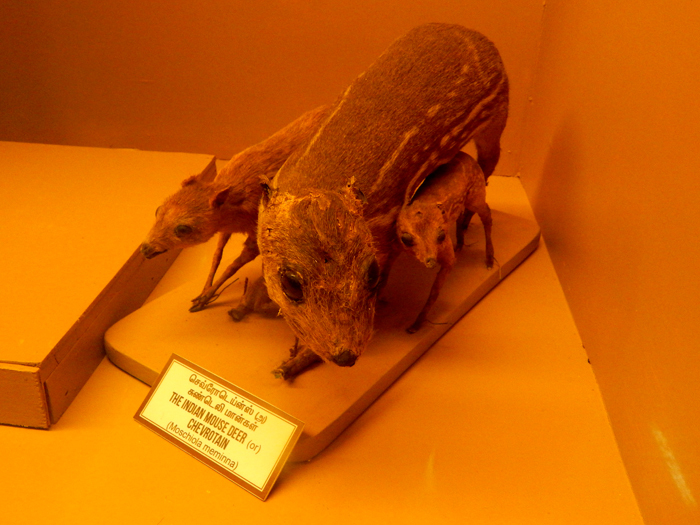 I visited the Zoology section of Madras Government Museum in 2014 and found that it to be an interesting place. As a wildlife biologist, I found the Natural history section very interesting as well as important for education and scientific reasons. 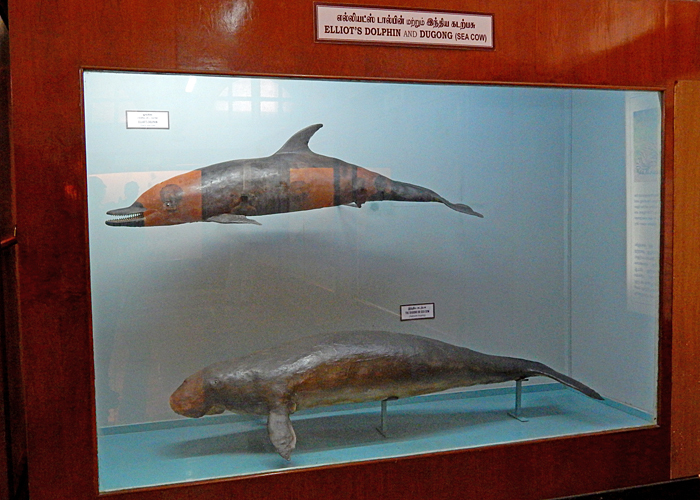 Several collections displayed in this section are of historical importance, such as the rare specimens of possibly extinct Malabar Civet and Pink-Headed Duck. I also noticed that there were several aspects of this sections that needed drastic improvement. I have been musing over on writing about these things and nearly three years have gone by. The recent article “Will the Museum see better days?” in Madras Musing (Vol. XXVI No. 11, September 16-31, 2016) finally prompted me to write this article. Mammals and birds sections can be improved by using correct names on signage. For instance, Nilgiri Tahr which is a Tamil Nadu State animal is mentioned as Neelagiri Kaattu Velladugal (நீலகிரிக் காட்டு வெள்ளாடுகள்), while there is a well established and a very nice Tamil name Varaiyadu (வரையாடு). Leopard Cat mentioned as Puthar Kattu Poonai (புதர் காட்டு பூனை) instead of Siruthai Poonai (சிறுத்தைப் பூனை). Tamil name of the Rusty-Spotted Cat has been literally translated into Irumbu thuru nira Pulli Poonai (இரும்பு துரு நிற பூனை) instead of Sempulli Poonai (செம்புள்ளி பூனை). In fact, I even noticed that the name boards were mixed up between these two small cat species. Tamil name Brown Palm Civet should be Pazuppu Maranai or Kattu Maranai (பழுப்பு மரநாய் அல்லது காட்டு மரநாய்) not Manira Maranai (மாநிற மரநாய்) as is mentioned. The names given for certain species needs to be updated and the name boards with correct recent common and scientific names should be placed. For instance Common Langur or Tufted gray langur (வெள்ளை மந்தி) is mentioned as The Chennai Langur. These are just a few examples and there are several exhibits that need to be improved. Tamil name of Nilgiri Tahr is Varaiyadu வரையாடு. Indian spotted chevrotain is known as சருகு மான் in Tamil. Not சுண்டெலி மான்! 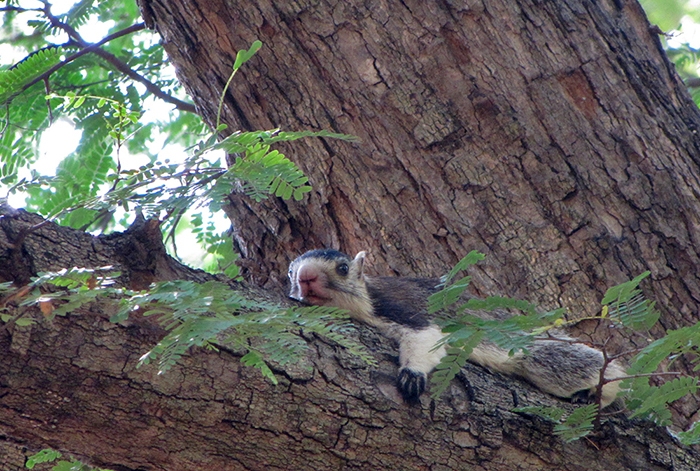 There are various websites such as Wikipedia and IUCN that gives the recent common and scientific names of the mammals and birds, and should be referred to. For Tamil and local names, the authorities should refer to books and articles written by nature writers Theodore Baskaran, S. Mohammed Ali and K Ratnam. Displaying linguistically and scientifically correct names in the exhibits is a basic and important component in educating the visitors. Hence, the museum authorities should give special attention to this aspect. Bird specimens stuffed and displayed are of great historical and scientific importance. It should be noted that several bird specimens displayed there are collected from Tamil Nadu especially from in and around Madras (now Chennai) region (Santharam 1980). Recently while compiling the checklist of Birds of Tamil Nadu, ornithologists referred to nearly 30 odd birds from this collection (Satyamurti 1970) as they were considered to be the authentic historical records from this region. The way some of the specimens were exhibited was not aesthetically pleasing. For instance, wings, head, tail of the Pin-tailed Snipe has been chopped into pieces and mounted on a plank for display. 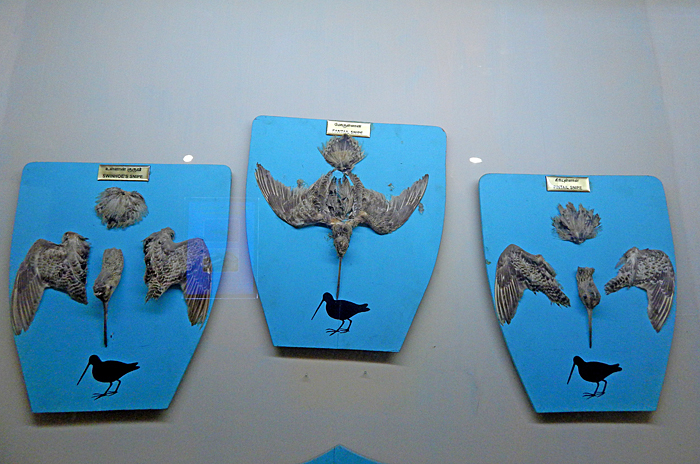 To show the different types of beaks birds, the head of the bird specimens have been kept for display. The authorities should remove such displays and think of better and novel ways of presenting a theme. Consulting with experts to restore and conserve the specimens which are in bad shape and the other artifacts would help in preserving the historic collections from further deterioration. 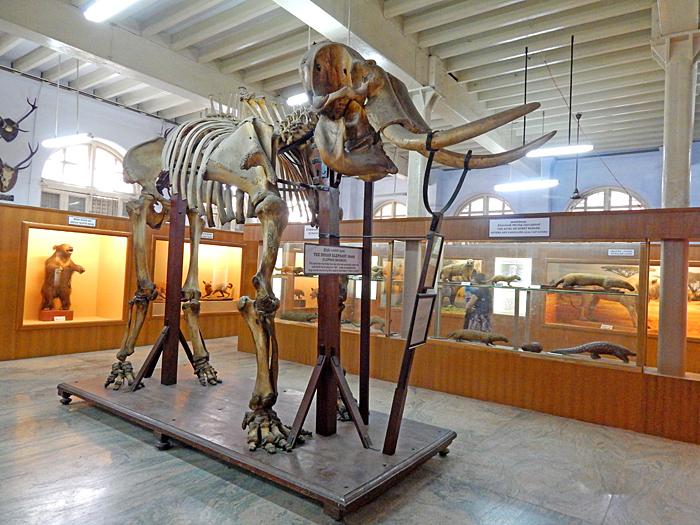 One of the historically important exhibits in the mammals section is the skeleton of a male Asiatic Elephant which was captured near Chengam, North Arcot District (now Tiruvannamalai District) in 1887. There is also a miniature model explaining how the elephants were caught through pitfall method in olden days. In this age of extinction and as the Asiatic elephants decline due to various anthropogenic activities, it is more important to educate the visitors on how they are becoming endangered and on what we can do to conserve them. Skeleton of a male Asiatic Elephant which was captured near Chengam in 1887. There are several positive aspects about the museum as well. Some of the specimens are very rare but still they are exhibited for public. For example, to view the skin of Malabar Civet and Pink Headed Duck in other museums one has to get prior permission. Well illuminated exhibits, in the bird rooms, covering the pillars explain various aspects of natural world are informative. The virtual tour http://chennaimuseum360.org/ is quite useful. The website of this museum is another important and useful resource. One of the best things is that the museum authorities have digitized hundreds of their old publications (starting from the year 1882) and made it available for public through their website – http://www.e-books-chennaimuseum.tn.gov.in/ChennaiMuseum/. Whoever initiated and executed this commendable work should be appreciated. In continuing to add towards the noble job of sharing their publications with public, museum authorities should also consider taking part in GLAM-Wiki initiative. The GLAM-Wiki project (Galleries, Libraries, Archives, and Museums” with Wikipedia) supports cultural institutions that share their resources with the world through collaborative projects with Wikipedia editors. There are several institutions already being a part of this initiative and one such example is Naturalis Biodiversity Center which is a National museum of natural history and a research center on biodiversity in Leiden, Netherlands. This museum had uploaded thousands of images from its natural history collection on Wikimedia Commons (see their page here). The comments provided here are solely based on my visit to the Zoology section of the museum and spur out of my views and interests. There is a huge potential for improving some of the other exhibits and themes within Zoology and Botany sections. 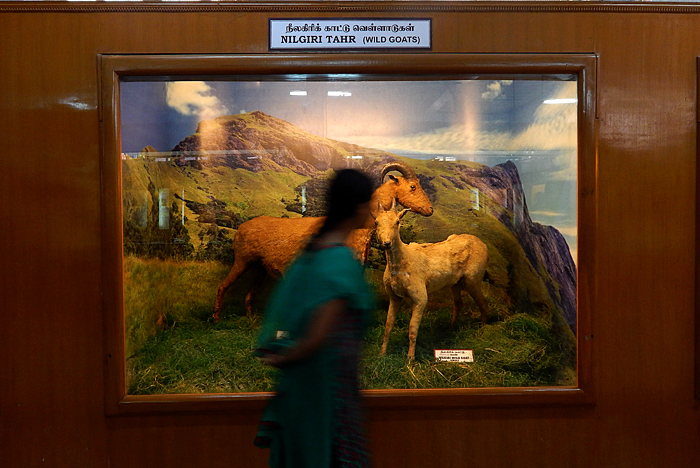 Like the other museums in India and outside, Government Museum of Chennai should improve interpretations using audio-visuals, implement outreach programs for visitors and expansion of digitization. This will help in preserving one of our valuable cultural and natural heritage collections of India.